“To me, the traditional version of “time-out” complete with naughty chair and one minute for every year of the child’s age is the equivalent of emotional spanking. I also have just a common-sense kind of beef with time-out: if your child is that calm that they can go and sit in a chair to “think”, then they probably could have been addressed with other methods of positive discipline to guide them. I am all for helping to guide children. The opposite end of this spectrum is that when children are not calm and they are falling apart, this is not a teachable moment. 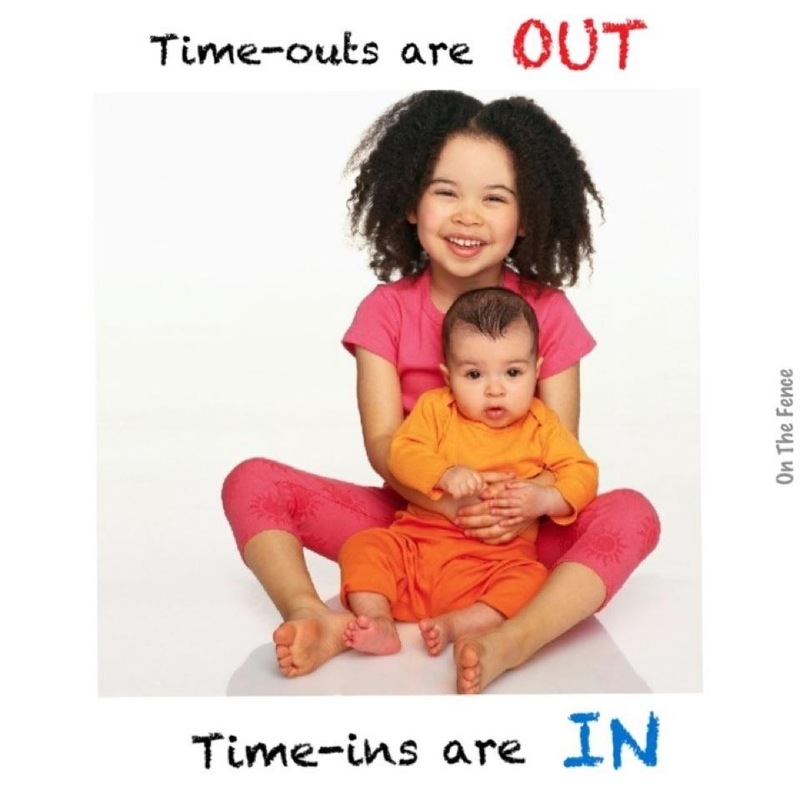 If you need a time-out as a parent, I am all for that. However, for the child end of this equation, if your child is so upset and they are melting, how is sending them with their overwhelming feelings to sit in a chair going to help them make the most of this opportunity to learn? I also find that Americans and the Brits are really the only groups where time-out seems to come up at all. So I think there is a strong cultural component that is influencing the use of time-in in parenting in this country. Still not convinced? I am all for boundaries! You can still be gentle and have boundaries. You can still love your child and keep boundaries. In fact, I think if you truly love your child, there MUST be boundaries. But I am also all for understanding a child’s developmental stage and working with that in a positive way. As Barbara Coloroso, author of “Kids Are Worth It! Giving the Gift of Inner Discipline” says regarding discipline: Leave your child’s dignity intact.